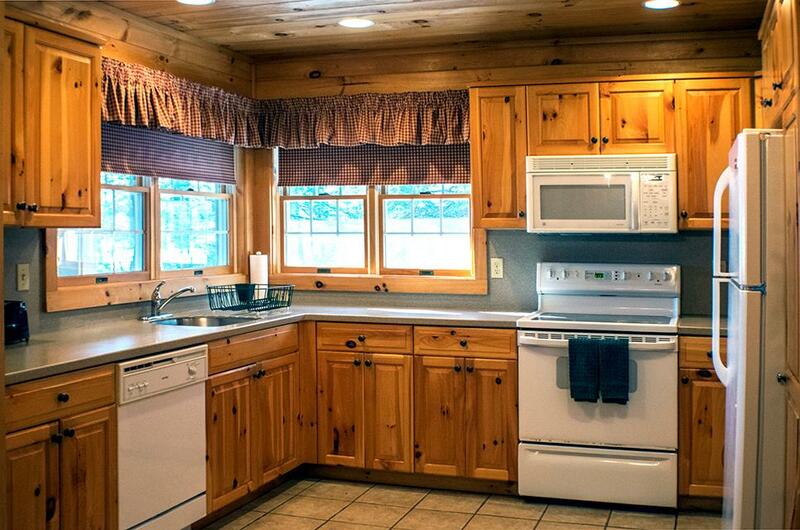 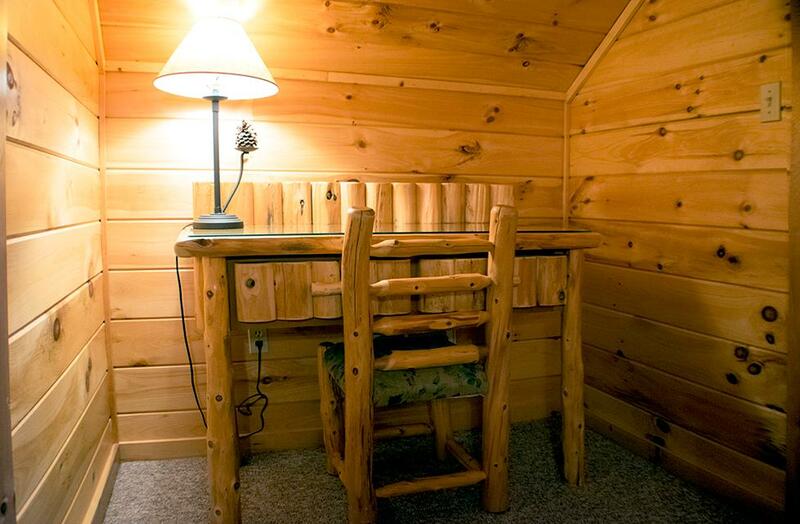 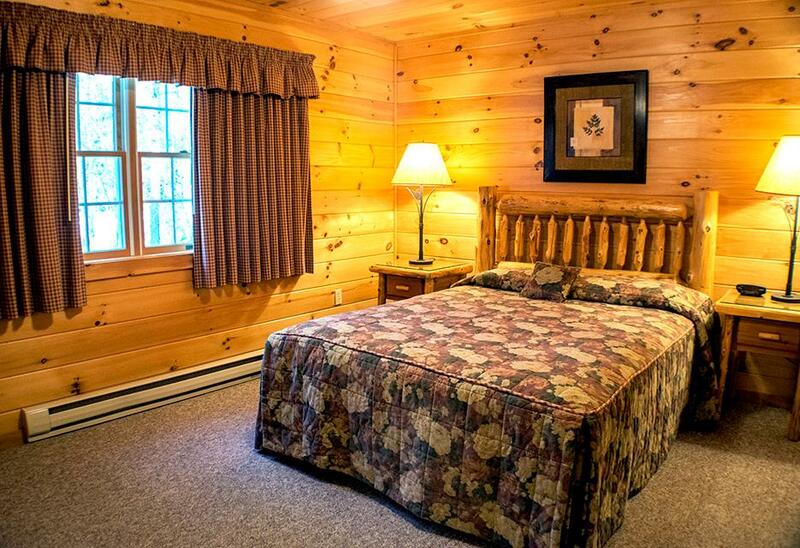 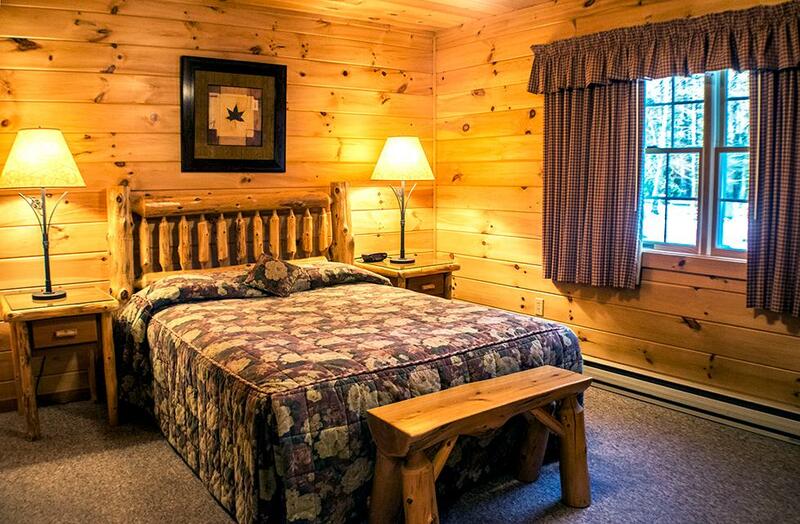 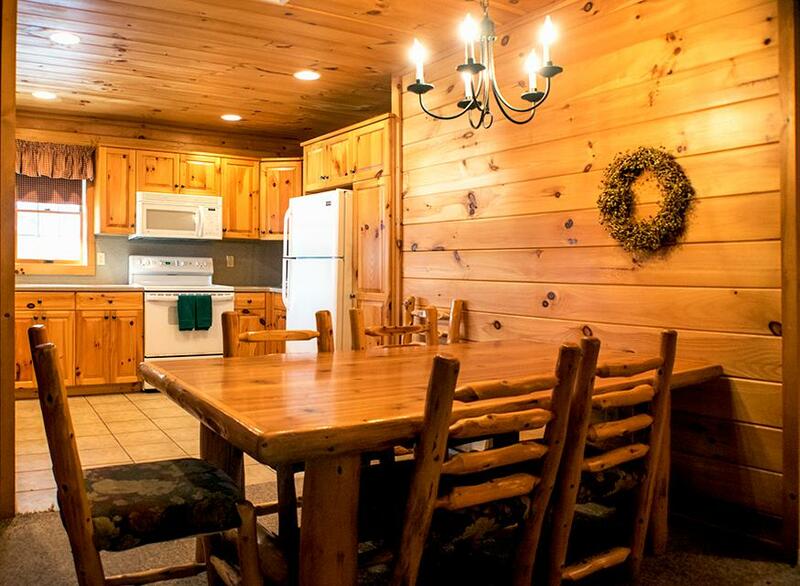 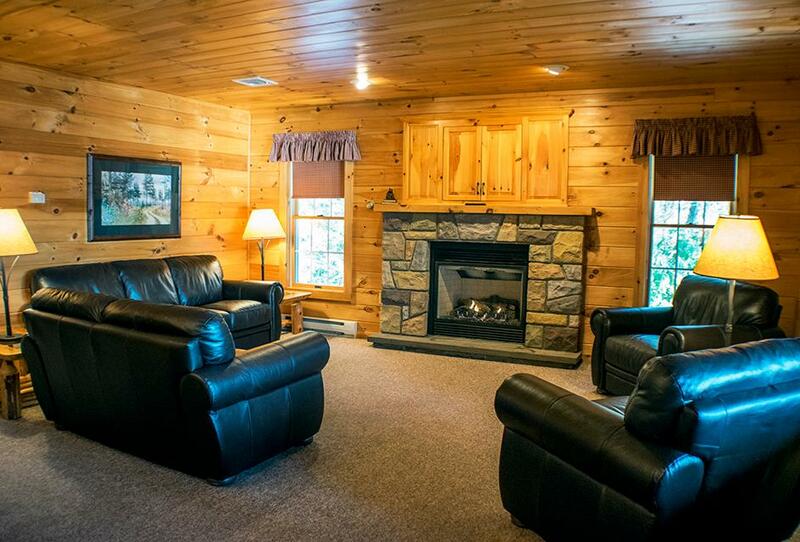 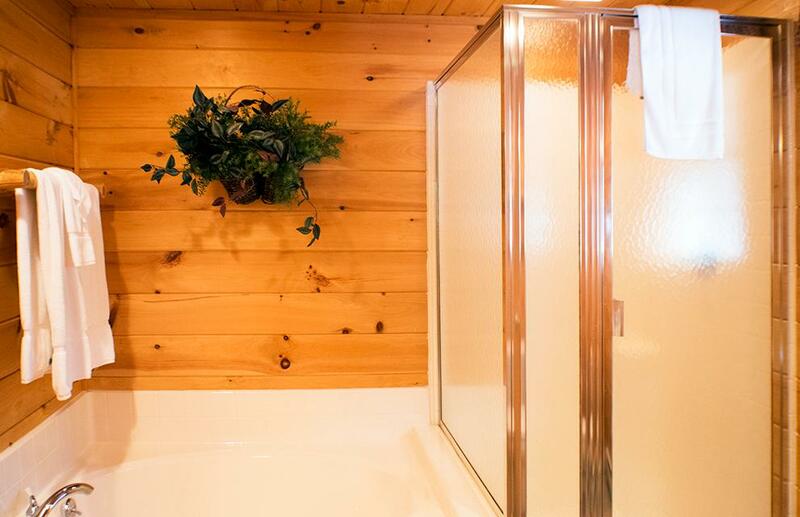 This magnificent non-smoking, three-bedroom, three-bath log cabin is handsomely decorated, offering central air conditioning, dishwasher, a TV/VCR in each bedroom, queen-size beds, oversized showers, and garden bathtubs. 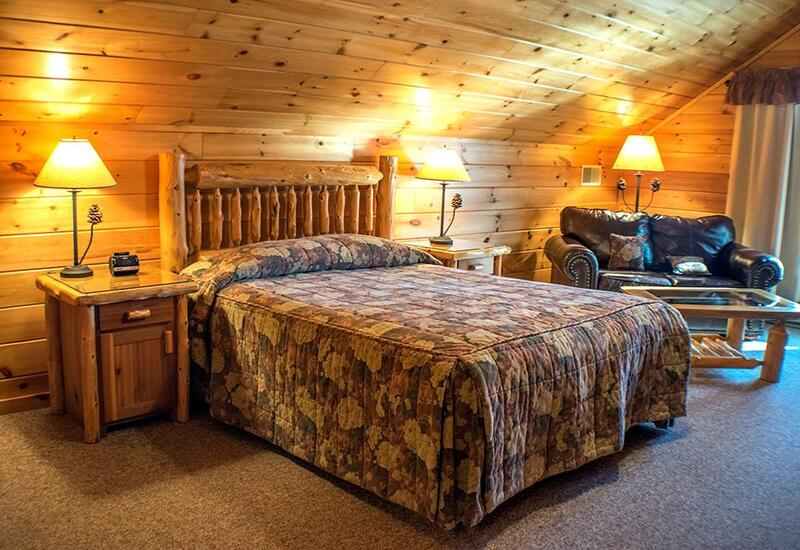 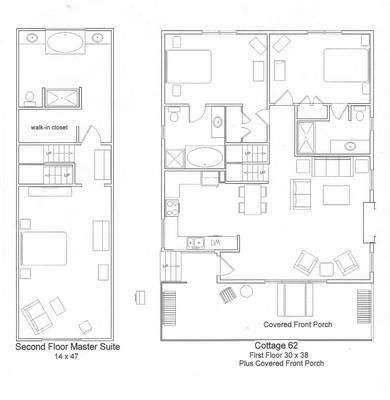 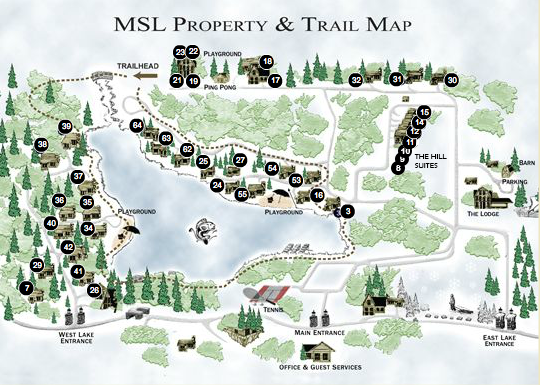 There are two bedrooms downstairs and a beautiful upstairs suite with a spectacular view of the lake. 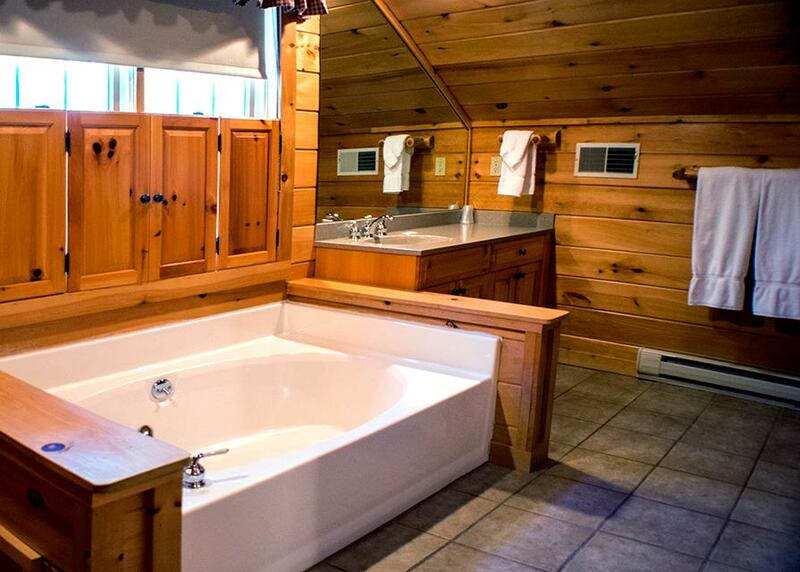 This cottage also offers a lovely Corian kitchen, dining area, a living room with a gas fireplace and TV/VCR, plus a covered outside porch with Adirondack log gliders.